Comedy about the surreal holiday of two teenage Spanish girls, where they meet a bizarre assortment of villains and new friends. Jess Franco's first feature film is a surprisingly funny teen comedy that showcases his visual inventiveness and ability to shift genre on a dime. 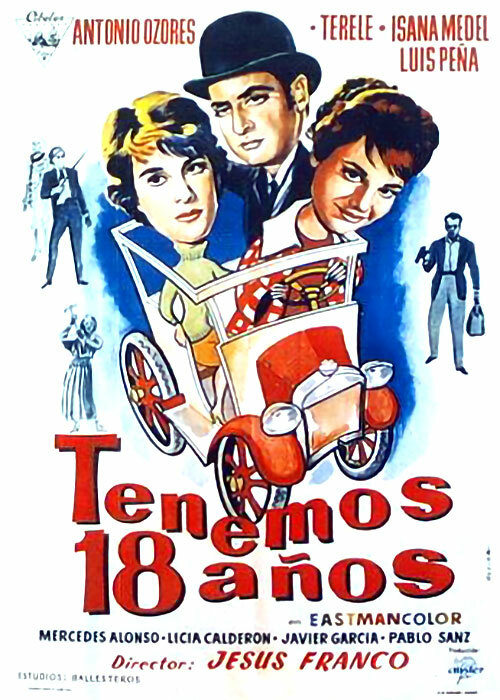 1 Response to "We Are 18 Years Old (1959) Jess Franco"
bravo, a rarity i didn't expect to have a chance to watch. Thank you.